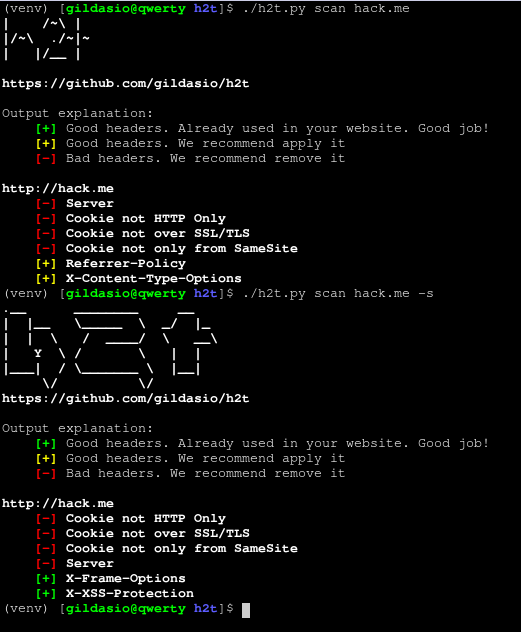 h2t is a simple tool to help sysadmins to hardening their websites. Until now h2t checks the website headers and recommends how to make it better. h2t has subcommands: list and scan. 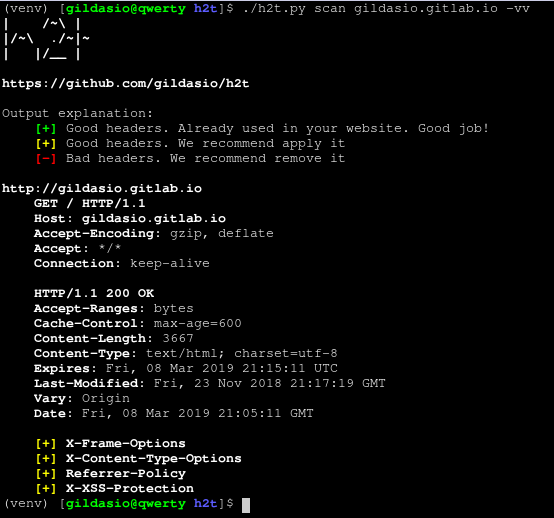 The list subcommand lists all headers cataloged in h2t and can show informations about it as a description, links for more information and for how to's. The scan subcommand perform a scan in a website looking for their headers. [+] Red Headers are bad headers that open a breach on your website or maybe show a lots of information. We recommend fix it. [+] Yellow Headers are good headers that is not applied on your website. We recommend apply them. [-] Green Headers are good headers that is already used in your website. It's shown when use -s flag.